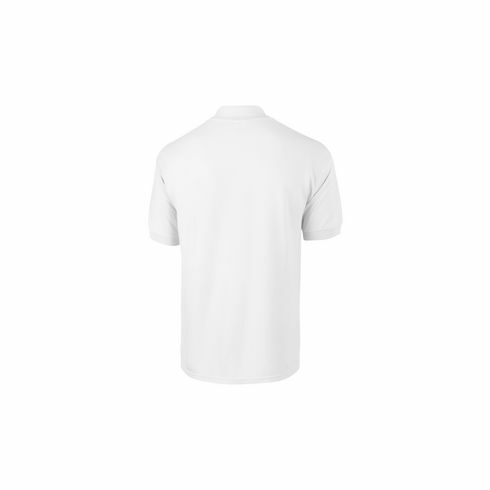 Polo shirt from the brand Gildan. Made of 100% cotton piqué (white: 205 g/m² and colour: 214 g/m²), excluding light grey (90% cotton/10% polyester) and dark grey (50% cotton/50% polyester). Available sizes: S, M, L, XL and XXL.